﻿What does it mean to do wrong, when no one punishes you? A smart and unflinching look at friendship, the nature of entitlement, and growing up in the heartland. I love a book that has a solid group of characters and this book was so expertly character driven. 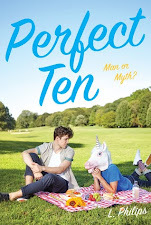 The story starts with Paige coming home from a summer away and trying to fit back into her perfect, popular world. The problem is that nothing feels the same since she and her two best friends were in a bad car accident and she was exiled to Paris. She comes home to a lot of resentment, emotional distance, and fake happiness. Right away we meet Paige's mother and I don't even know what to say about her. I feel like deep down she must think that she's being a good mother, but the things she said to her daughter and the type of encouragement she gave her was appalling. It automatically made me sympathetic toward Paige, which worked in her favor, because she did a few cringeworthy things throughout the book, too. At first Paige's two best friends and boyfriend came off as completely fake and insincere. As I got to know them a little bit better, my opinions shifted slightly, but it was obvious that they were products of the adults they grew up around. None of them did anything because they wanted to, so much of their lives were dictated by what others wanted or thought. I was so frustrated with Paige for much of the first part of the book, because she was making such ridiculous choices and she was letting her fear control her. I actually wanted to put down the book a couple of times at first, because I just couldn't relate to her desperate need to please these people. I'm so glad I kept reading and what ultimately saved the book for me was Ethan, and later on Shanti. I loved the way Paige could be herself when she was around them and I was so proud of her each time she left a little of the fake Paige behind. She wasn't a perfect character, by any means, but when she found some real friends instead of competitors, she was able to figure out the Paige she wanted to be. Or at least start to figure it out. Fabulous review. :D I've only seen a few reviews of this one, but they've all been very positive. It's super frustrating when a character makes idiotic decisions, or ones that you just don't understand and you want to shake them and be like DON'T YOU SEE WHAT YOU'RE DOING WITH YOUR LIFE, but I'm glad that it improved after that. I think I'll have to look for this one. 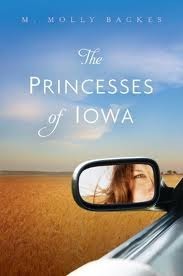 The Princesses of Iowa book wasn't what I expected at all. It made me feel so much, I don't even really know where to begin. 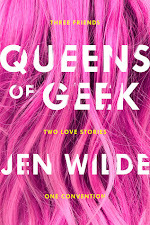 I can tell you that at the time of writing this review, it's been several weeks since I finished reading the book, and it's still on my mind.